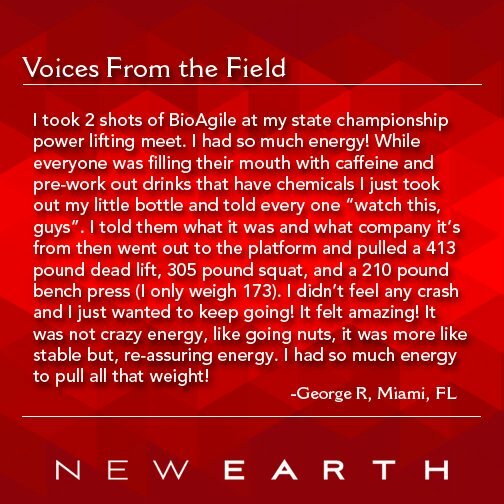 BioAgile: Learn about the new all natural liquid nutrition product from New Earth. Sign up for exclusive offers before BioAgile launches and get a chance to win! BioAgile may be the most natural brain fuel there is. Revitalize your body and mind with all natural liquid nutrition that provides an energy boost for optimal productivity and performance. BioAgile is a daily renewal health product that helps you be your best. New Earth all natural, delicious nutrition in a convenient liquid shot provides physical and mental boost.